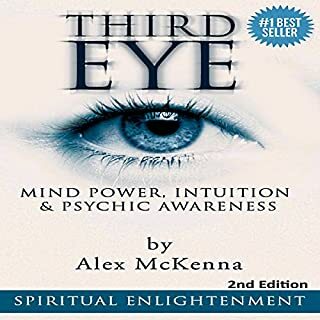 In this audiobook, I will show you how to refine your intuition, how you can truly listen to your subconscious mind or "higher self", connect with nature, achieve improved awareness, open your third eye, reach a higher level of consciousness, and much more. I will tell you about the human aura and how you can read it, symbolism, and easy steps to strengthen your psychic abilities. Discover the joy of unfolding your own natural psychic abilities. No matter what people say, there's no escaping the fact that they may be thinking something different. Have you ever wished you knew what someone was thinking? You'll learn to empty your mind, in order to understand the thoughts of others. This book helps you to look beyond the physical world and converse with people in a new way. Why do some people always seem to know what's going on? You will see amazing results. 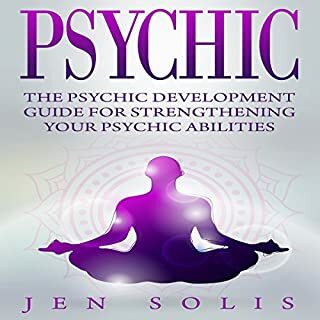 By: Pete A. Sanders Jr.
Narrated by: Pete A. Sanders Jr.
Use a scientifically proven method to harness your inborn psychic abilities and achieve breakthroughs in everyday life! Everyone has occasional psychic experiences, but few people realize that it is possible to access ESP on command. Using his extensive study of biomedical chemistry and brain science at the Massachusetts Institute of Technology, Pete A. Sanders Jr. has developed a method to show how we can tap into our psychic abilities at will to expand our knowledge and gain control of our destiny. 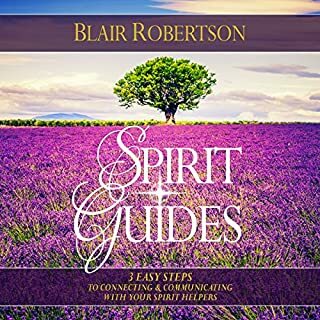 You will learn how to develop your own communication system with spirits and Spirit Guides, as well as develop an understanding of what they are trying to communicate with you right now! Spirit Guides are always trying to communicate with you; many times you just do not have a complete understanding of how this communication system works. There are many forms of spirit communication and it is important for you to find out what particular system works best for you. You'll even learn the relation of auras and their colors to chakras and healing! Download this audiobook now. Heal yourself and others, gain wisdom and insight, and explore the colorful world of aura visualization! This is a VERY good book to newbies and highlights all the information in the title. The narrator is on speed, hopped up on coffee or SOMETHING!!! It is by far the Worst reading I've heard in 32 books as a new subscriber.STRESSES ME OUT INSTEAD OF THE OPPOSITE. Even tried .75 speed in app and no better - and I know this info. 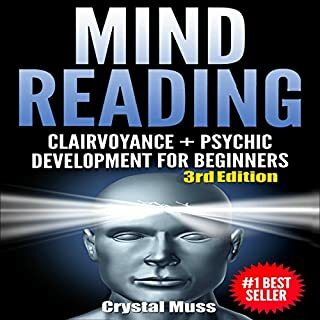 It is a very clear step by step guide based on classes the author has taught which provide instructions and helpful tips to the listener to learn to see and understand auras. But, I must warn you, it is just like a physical fitness book in that one must put down the book and do the exercises to gain the benefits of the information shared. Well worth it! Just not that interesting. I am highly interested in spirituality, energy work, altered consciousness, auras, and am even sort of willing to hear about chakras and what have you, though I don't know where I come down on some of it. My problem with this book is that the author writes at about a third grade level, and expects that you agree with everything she puts on the table. I was not looking for a treatise on the reality of auras, but it seems that if you're writing for someone who is hoping to experience them, you would have information that would be a bit more compelling than what it was. Maybe someone else will like it, but I was quite disappointed. If you are curious, get it!!! Where does Auras, Clairvoyance & Psychic Development rank among all the audiobooks you’ve listened to so far? This book has the detailed info about what everything which is even understood by the person whit no aura knowledge...it tells you about the positive vibes you feel when your aura is at the highest. I have heard about it but never in detail and was curious to know more about aura and yes !! This book has helped me a lot. Would you listen to Auras, Clairvoyance & Psychic Development again? Why? It contains information about auras, what they are, and how you can see them. It discusses the history of auras and how they have been observed in many cultures as well as in a scientific sense. The author discusses the different meanings of auras, how the colors change depending on your mood, health, the situation, and even the time of day. This book promises to show you how to see auras and how to feel and sense them. Whether you are a skeptic or a believer, this book will offer insight and, perhaps, the ability to see auras. 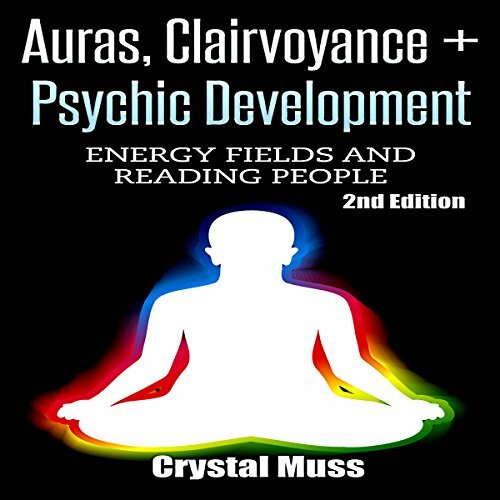 Would you consider the audio edition of Auras, Clairvoyance & Psychic Development to be better than the print version? I've always been interested with auras but hearing this book gave more knowledge or education about auras. I guess it's true when they say "You have a gloomy aura today." and maybe it is not figurative. There's just more to auras than just that phrase. Every moods and persons have different auras. This book is also very easy to understand so I didn't have any issue or difficulty in understanding what the author is trying to say. This is an excellent book for people interested in really understanding auras and how they "work". Beginners will enjoy this as well, and people just looking for a fun and interesting read. Honestly I knew nothing about this stuff, and now that I've read/heard this I think it's a really interesting concept! An introduction to the concepts of energy as expressed by auras and other aspects of energy healing. 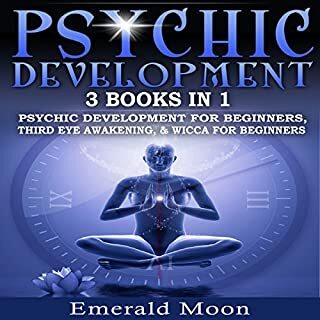 The author draws from many different cultures to develop an energy based approach--- so reading auras, understanding chakras, appeals to angels, Reiki, and folk remedies are discussed. The reader is left hopeful that these treatment interventions are effective but not all have the same level of acceptance among energy healers. Nevertheless a provocative introduction to the topic. If you could sum up Auras, Clairvoyance & Psychic Development in three words, what would they be? I'm writing as someone with great interest in this topic. I'm a Reiki practitioner and this information is of great benefit to me. I'd been particularly interested in auras ever since I could feel interesting sensations in different parts of the energy field of my dog as I was working on her. I'd recommend this book to learn more about this fascinating aspect of reality. This audio-book is very clear and didactic, despite the subject is not too simple. The author did explain about aura, double-etheric, magnetism, healing in a simple way and easy to understand. Something concise that makes you think. There is a Kindle version too, which I already have, but I prefer audio for these kind of books. Very easy to listen to. 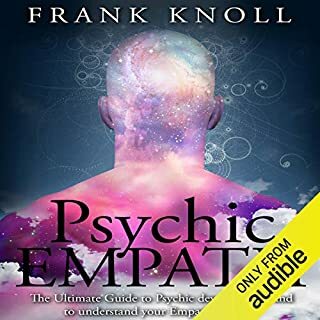 I have been looking for this kind of audio book for releasing negative energy in your body and replace it with the new and revitalizing auras that will change your body, mind and soul in a more postive way of life. This book has an over all approach when in comes to achieving positivity in life. This is a great step to learn about auras and how it can be beneficial if being practice often. I feel great the moment I start listening to this audio book because I feel every ideas being discussed and how it can get rid of the negative energy and replace it with positive one. Auras cannot be seen but one thing I have learned in this audio book is that even it cannot be seen, with proper concentration and training will lead to great focus where one can feel it flowing inside the body and control it the way we want. I don't know much about the subject before reading this book. After hearing my yoga teacher mentions chakras and auras week after week, I finally decided to learn a little more, so I got this book. The book basically talks about the energy that we give off have direct affect on our life. And how cleansing our auras will enhance our positive energy. Very fascinating subject and very beginner friendly too. It's not the best book but im sure there will be worse to come bye. I enjoy the audio book. I like the way this audio book is organized. It places psychic development in the larger context of life, by explaining everything in terms of relationships: relationships with other people, with the planet, and with our unique spiritual essence. The tone of the book is light, friendly, and fun. The exercises are explained in simple steps. And the authors give many real world examples of how psychic work can have positive impact on everyday life. Short and to the point. Good book. I work with some difficult and troubled youth and I found that this book could better help me in reading people and many more things. This was a different kind of book from what I usually audio book I had. It has very good insights and it challenged my thoughts in a different way. I am now more aware of the energy around me.